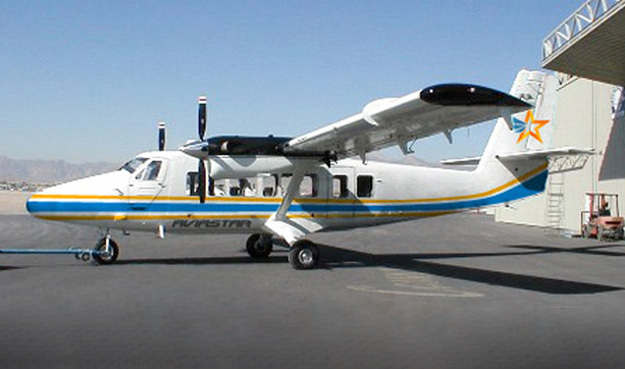 Aviastar (PT Aviastar Mandiri) (Indonesia) (Jakarta) de Havilland Canada DHC-6-300 Twin Otter is missing in Indonesia today (October 3). The DHC-6-300 Twin Otter, registration PK-BRM, was operating flight MV 7503 from Masamba to Makassar (Indonesia) with 10 passengers and 3 crew members yesterday (October 2). Ground controllers lost radio contact with the flight before it reached Makassar. Makassar is the provincial capital of South Sulawesi, Indonesia. We (PT. Aviastar Mandiri) and the DEPHUB, BASARNAS, Police, Senkom and other concerned parties, will continue to search for our aircraft PK-BRM. We expect the cooperation of all parties and the best prayers. This entry was posted in Aviastar (Indonesia) and tagged Aviastar, DHC-6, DHC-6-300 Twin Otter, flight MV 7503, PK-BRM, Twin Otter on October 3, 2015 by Bruce Drum. European Coastal Airlines-ECA (Zagreb, Croatia) is a new seaplane operator founded in 2000. Ever since its foundation it has been working on the infrastructural in Croatia to start regularly scheduled seaplane operations to connect major cities and the islands along the Croatian coast. The goal is to connect all 66 inhabited islands of Croatia as well as expand operations later to Italy, Monaco and Greece. The new seaplane carrier is planning to launch scheduled passenger flights later this month with a fleet of de Havilland Canada DHC-6 Twin Otters and Grumman G-21A Goose aircraft. The first flight will connect Split Airport with the resort destination of Jelsa on the island of Hvar. The new airline will also soon operate flights from Pula, Rab, Split and Zadar. All images by European Coastal Airlines. 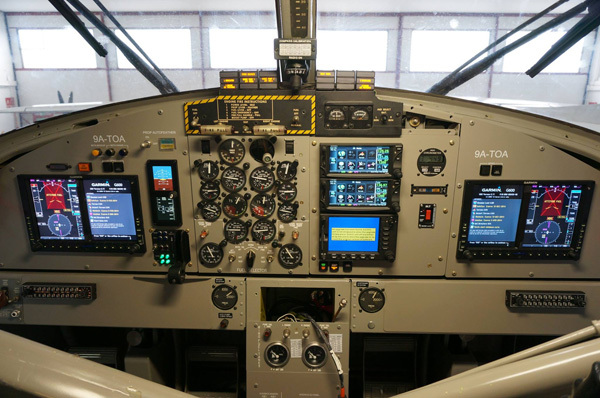 Above: The cockpit of the DHC-6 Twin Otter 9A-TOA. Above the cabin of the DHC-6 Twin Otter. This entry was posted in European Coastal Airlines and tagged Croatia, de Havilland Canada, de Havilland Canada DHC-6 Twin Otter, DHC-6, ECA, European Coast Airlines, European Coastal Airlines, Klaus Dieter Martin, seaplane, seaplane carrier, seaplane flights, seaplane operations, Twin Otter on August 3, 2014 by Bruce Drum. Air Seychelles (Mahe) has announced a net profit of $3 million (US) for 2013, exceeding by 171 percent its profit of $1.1 million (US) reported in 2012. Revenue increased by 107 percent to $88.7 million (2012: $42.8 million). The airline’s passenger numbers on its international network increased 100 percent to 195,857 (2012: 97,576), while traffic on domestic services in 2013 increased nine percent to 156,617 passengers. The impressive 2013 passenger traffic growth was aided by Air Seychelles’ acquisition of a second Airbus A330-200 aircraft in March. The same month the island carrier launched three weekly flights to Hong Kong, and increased frequencies to Abu Dhabi, Johannesburg and Mauritius, bringing its total international weekly services to 16, up 100 percent. Abu Dhabi was Air Seychelles’ busiest international route, with a total of 90,746 passengers carried between the archipelago and capital of the United Arab Emirates, a year-on-year increase of 178 percent. In October, Air Seychelles announced a multi-million dollar agreement for the purchase of three new Viking Air DHC-6 Twin Otter Series 400 aircraft (top and below), its largest ever domestic fleet order signalling the carrier’s long-term commitment to its domestic operations. Two of these aircraft are due to arrive in mid-2014, one year ahead of schedule. 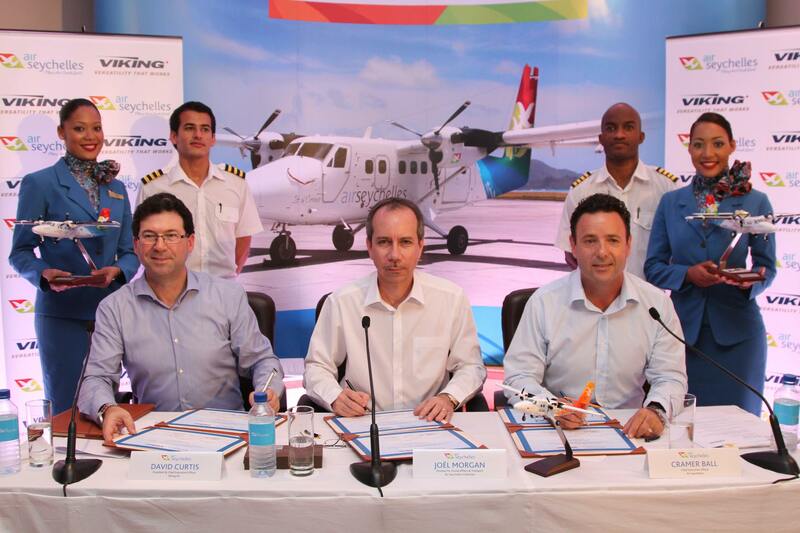 Air Seychelles now plans to welcome the new Twin Otters in July, following which, the aircraft will enter into service between Mahé and Praslin, as well as other islands in the archipelago, including Bird, Denis, D’Arros, and Frégate. The third Twin Otter aircraft is expected to arrive in the third quarter of 2015. All three new aircraft are part of a phased business plan to refresh the Twin Otter DHC-6 fleet. Twin Otters were first introduced by Air Seychelles in the early 1980s and the airline currently operates three DHC-6 Series 300 aircraft and 1 DHC-6 Series 400 aircraft. The 19-seat twin engine Pratt & Whitney PT6A-34 aircraft are manufactured by Viking Air in British Columbia, Canada. 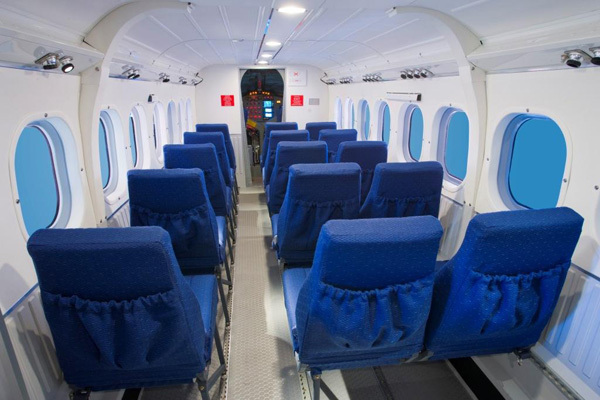 Both Copyright Photos: Air Seychelles is upgrading its Twin Otter inter-island fleet. Top: S7-CUR (msn 846) is the first DHC-6-400 Twin Otter with a digital glass cockpit. Viking Air President and CEO, David C. Curtis, the Seychelles Minister of Home Affairs and Transport and Chairman of Air Seychelles, Joel Morgan, and Air Seychelles Chief Executive Officer, Cramer Ball, outline details of the new Twin Otter fleet order at a press conference. Video: Air Seychelles DHC-6-300 Twin Otter landing at Praslin Island Airport (PRI) coming from Seychelles International Airport (SEZ). This entry was posted in Air Seychelles and tagged Air Seychelles, de Havilland Canada, de Havilland Canada DHC-6, de Havilland Canada DHC-6 Twin Otter, de Havilland Canada DHC-6-300, DHC-6, DHC-6-300, Mahe, Praslin Island, Seychelles, Twin Otter, Viking Air on April 11, 2014 by Bruce Drum. Nepal Airlines (Kathmandu) de Havilland Canada DHC-6-300 Twin Otter 9N-ABB (msn 302) has crashed today while operating flight RA 183 from Pokhara to Jumla, Nepal with 15 passengers and three crew members. The aircraft did not arrive at its planned destination. Burning wreckage has been located in the jungle near Khidim. There are no reports of survivors. This entry was posted in Nepal Airlines and tagged Nepal Airlines, Twin Otter on February 16, 2014 by Bruce Drum. 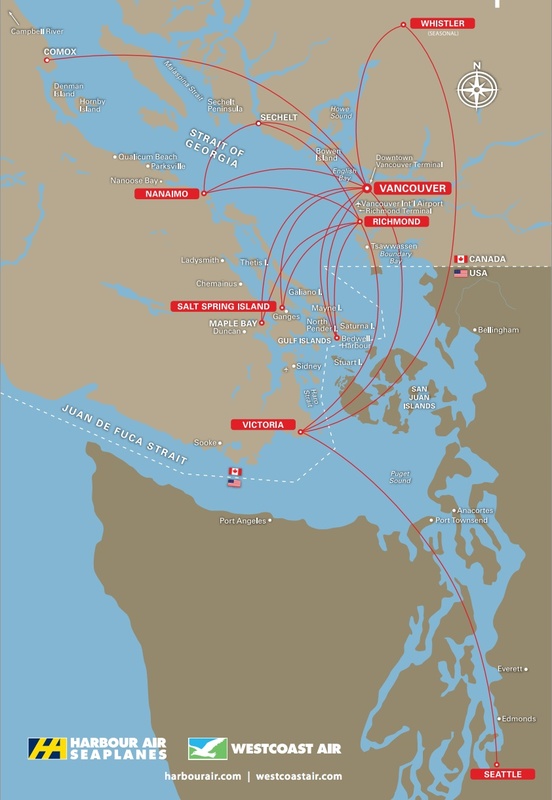 Harbour Air Seaplanes (Vancouver Harbour), Westcoast Air (Vancouver Harbour) and Kenmore Air (Kenmore, WA) are coming together to build a new seaplane terminal in Victoria’s Inner Harbour, replacing the present facility consisting of converted trailers. The city council of Victoria has approved the variances to build the new terminal on city property according to this report by the Times Colonist. 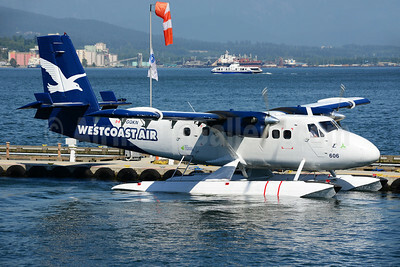 Harbour Air acquired the assets of Westcoast Air on April 30, 2010. Top Copyright Photo: Ton Jochems/AirlinersGallery.com. 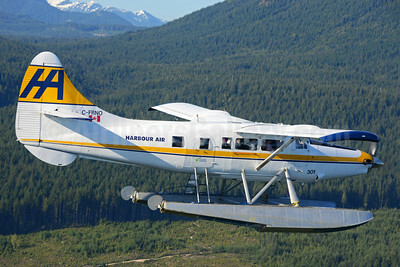 Harbour Air’s de Havilland Canada DHC-3 Turbo Otter C-FRNO (msn 21) is captured beautifully inflight near Sechelt, British Columbia. Bottom Copyright Photo: Ton Jochems/AirlinersGallery.com. Westcoast Air and parent Harbour Air are now developing a common livery. Westcoast Air’s de Havilland Canada DHC-6-100 Twin Otter C-GQKN (msn 94) showcases 2013 livery which replaces the more colorful green, blue and white color scheme from 2008. This entry was posted in Harbour Air, Kenmore Air, West Coast Air and tagged 21, 94, CFRNO, CGQKN, Coal Harbour, de Havilland Canada, de Havilland Canada DHC3, de Havilland Canada DHC6, de Havilland Canada Twin Otter, DHC3, DHC3 Otter, DHC6, DHC6 Twin Otter, DHC6100, Harbour Air, Harbour Air Seaplanes, Kenmore Air, Otter, Sechelt, sechelt british columbia, Turbo Otter, Twin Otter, Vancouver, vancouver harbour, West Coast Air, Westcoast Air, YHC, YHS on May 19, 2013 by Bruce Drum. 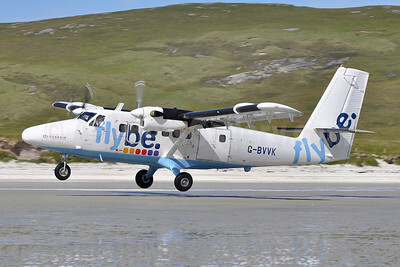 Loganair (Flybe) (Glasgow) will continue to operate its unique de Havilland Canada DHC-6 Twin Otter service to the island of Barra in Scotland. The service is unique because the STOL aircraft lands on the beach and the timetable is variable due to the changing tides. In February the Western Isles Council voted to end its subsidy for the Barra to Benbecula leg of the Twin Otter service. The service was due to end on March 31. The move was designed to enhance service to Glasgow. 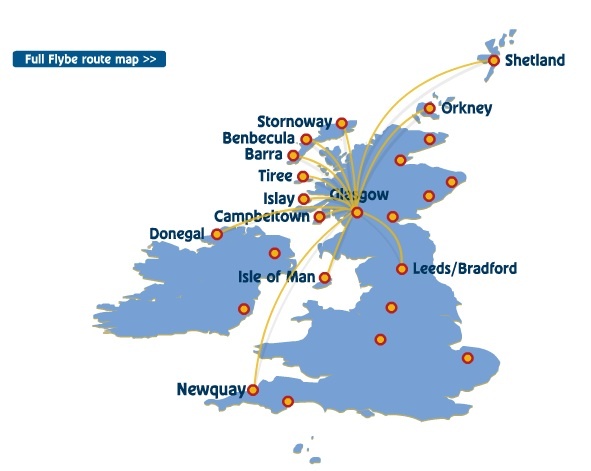 However the Scottish Government has now confirmed it will “enhance” flights between Barra and Glasgow for the summer season but said they have no further plans to change the number of flights during the rest of the year according to this report by the Stornoway Gazette. The unique “beach service” will continue. Copyright Photo: Robbie Shaw. Loganair’s de Havilland Canada DHC-6-300 Twin Otter G-BVVK (msn 666) makes its unique landing at Barra (BRR). Barra is the southernmost inhabited island of the Outer Hebrides in western Scotland. Loganair as a Flybe franchise, operates in the brand of Flybe (Exeter). This entry was posted in Flybe-Loganair, Loganair and tagged 666, aviation, Barra, BRR, de Havilland Canada, de Havilland Canada DHC6, de Havilland Canada DHC6300, de Havilland Canada Twin Otter, DHC6, DHC6300, Flybe, flybe.com, GBVVK, island of barra, Loganair, transportation, Twin Otter, western isles council on March 11, 2013 by Bruce Drum. 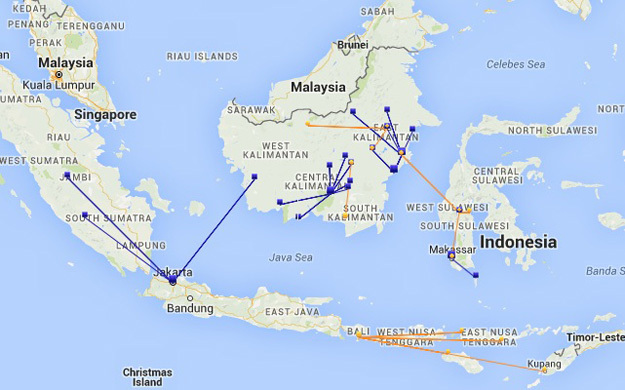 Merpati Nusantara Airlines’ (Jakarta) de Havilland Canada DHC-6-300 Twin Otter PK-NVC (msn 626) is missing on a domestic flight in Papua (Indonesia) with 16 passengers and crew member on board. 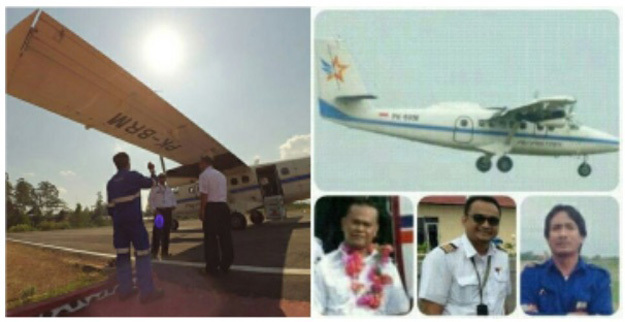 The passenger plane was reported missing yesterday (August 2) when it failed to arrive at Oksibil Airport (OKL) after a domestic flight from Jayapura (DJJ). This entry was posted in Merpati Nusantara Airlines and tagged 626, de Havilland Canada, DHC-6, DHC-6-300, Merpati Nusantara Airlines, PK-NVC, Twin Otter on August 3, 2009 by Bruce Drum.